Look at this 2017 Ram 2500 Tradesman. Its Automatic transmission and Intercooled Turbo Diesel I-6 6.7 L/408 engine will keep you going. 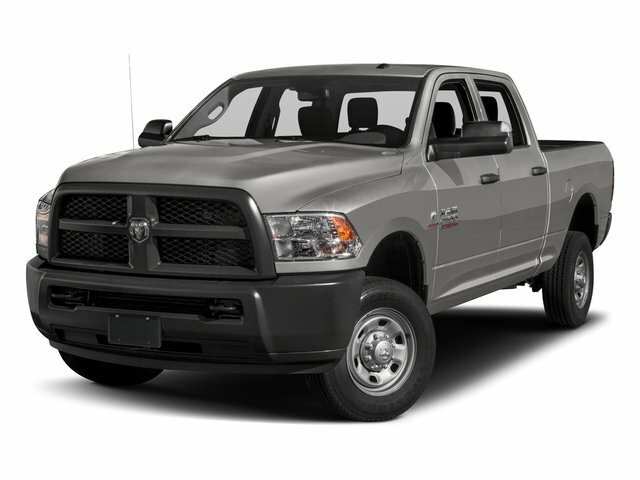 This Ram 2500 comes equipped with these options: WHEELS: 18 X 8.0 STEEL CHROME CLAD, TRANSMISSION: 6-SPEED AUTOMATIC (68RFE) -inc: 3.42 Axle Ratio, TRANSFER CASE SKID PLATE SHIELD, TRAILER BRAKE CONTROL, TIRES: LT275/70R18E OWL ON/OFF ROAD, SIRIUSXM SATELLITE RADIO -inc: For More Info, Call 800-643-2112, No Satellite Coverage w/AK/HI, 1-Yr SiriusXM Radio Service, REMOTE KEYLESS ENTRY, RADIO: UCONNECT 3 W/5 DISPLAY -inc: 5.0 Touchscreen Display, Overhead Console, GPS Antenna Input, Temperature & Compass Gauge, Integrated Voice Command w/Bluetooth, Charge Only Remote USB Port, SiriusXM Satellite Radio, For More Info, Call 800-643-2112, No Satellite Coverage w/AK/HI, 1-Yr SiriusXM Radio Service, QUICK ORDER PACKAGE 2FA TRADESMAN -inc: Engine: 6.7L I6 Cummins Turbo Diesel, Transmission: 6-Speed Automatic (68RFE), and POWER BLACK TRAILER TOW MIRRORS -inc: Trailer Tow Mirrors, Exterior Mirrors Courtesy Lamps, Exterior Mirrors w/Supplemental Signals. See it for yourself at Covert Chevrolet Buick GMC, 702 Hwy 71 West, Bastrop, TX 78602.